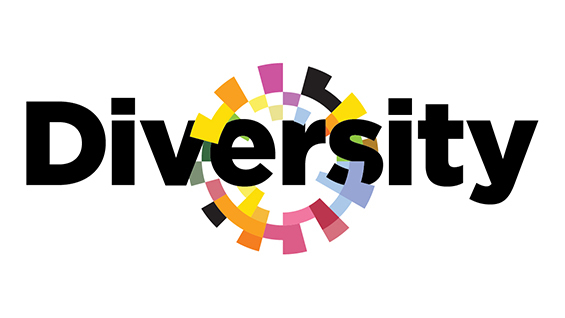 The Diversity and Inclusion Task Force has been charged to develop a proactive approach to racial and gender diversity and inclusion at The Cooper Union. Through collaboration, shared understanding, common purpose and individual action this group is seeking ways to renew Cooper Union’s commitment to diversity as a critical asset in the quality of teaching and learning, inquiry and innovation at the school. The Task Force is pursuing strategies to foster an inclusive learning environment and culture that respects and supports the identities, experiences, learning approaches and viewpoints of Cooper Union constituents. We seek to understand what is and is not working well at Cooper while we grow an appreciation of the practices and approaches that foster equity. Write to us. The primary goals of the Task Force are to create an inclusive and equitable campus climate, support inclusive scholarship and instructional practices and to recruit, retain and develop a diverse community at The Cooper Union. Our approach is data driven, evidence-based and inclusive of the best thinking of the Cooper community. Our intention is to go beyond “compositional diversity” and foster a culture that supports Cooper Union’s educational ideals of diversity and excellence in new ways. The Diversity Task Force is comprised of members from among Cooper’s faculty, students and staff. Collectively, the members bring diverse perspectives, experiences and priorities that will foster productive and comprehensive dialogue and action planning. The Task Force remains open to anyone from the Cooper community who would like to participate, in whatever capacity they can. The Task Force is co-chaired by Sam Keene, Associate Professor, Electrical Engineering and Antoinette Torres, Director, Strategic Initiatives and Institutional Effectiveness. Members include Nada Ayad, Postdoctoral fellow, HSS; Natalie Brooks, Chief Talent Leader; Chris Chamberlin, Dean of Students; Abby Davis, Assistant Director of Admissions; Ben Davis, Associate Professor, Chemical Engineering; Alfred Dudley III, A’18; Sara Foley, Associate Director of Operations / Technical Design Specialist; Ariana Freitag, EE’20; Associate Director, Operations; Adrienne Greth, Assistant Dean, Admissions; Atina Grossman, Professor, HSS; Mauricio Higuera, Administrative Assistant for Public Programs and New Projects, School of Architecture; Steven Hillyer, Director, The Irwin S. Chanin School of Architecture Archive; Grace Kendall, Title IX Coordinator and Director, Student Diversity and Inclusion; Makeda King-Smith, Director International Student Advisement and Assistant Director, Admissions; Sanjeev Menon, CE’20; Ketsia Monterose, Employee Relations Associate; Kim Newman, Media Relations Manager; Anita Raja, Associate Dean, Research and Graduate Programs and Professor, Computer Science; Sophie Schneider, ME’20; Naveen Shlayan, Assistant Professor, Electrical Engineering; Maran Stange, Professor (Proportional), HSS; Keith Stokeld, Controller; William Villalongo, Assistant Professor, Art; and Jolie Woodson, Director, Center for Career Development. Through smaller working groups, Task Force members are exploring and addressing policies, processes, strategies and programs in strategic areas. This approach, to engage the community through action-oriented inquiry, will yield recommendations to frame a path toward diversity and inclusion. The working groups are engaged in six primary areas of focus: Inclusive Pedagogy and Curriculum; the First Year Experience; Faculty and Staff Diversity; Compositional Diversity; Institutional Effectiveness; and Culture and Climate.